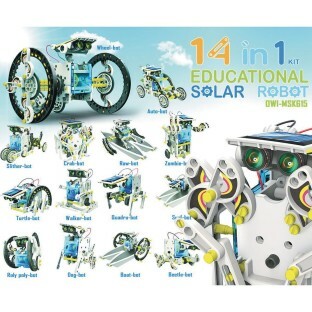 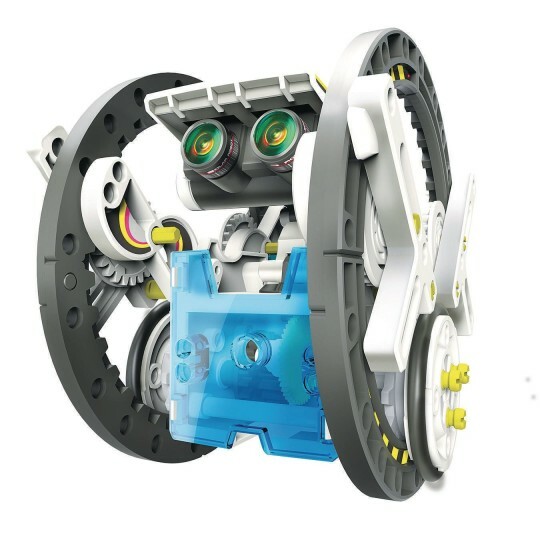 The 14-in-1 Educational Solar Robot kit is the recipient of the "Best Green Products Award 2013" from Dr Toy and Creative Child Magazine has anointed it with "Top Toy of the Year Award" and "Kids Product of the Year Award." 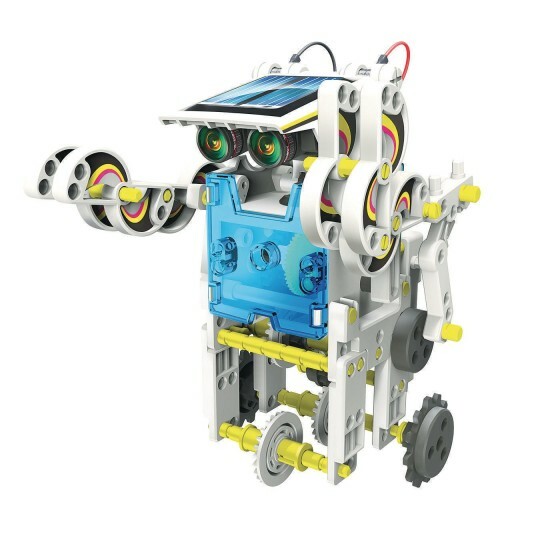 This robot can be transformed into 14 different robot modes which include a multitude of comical and functional movements. 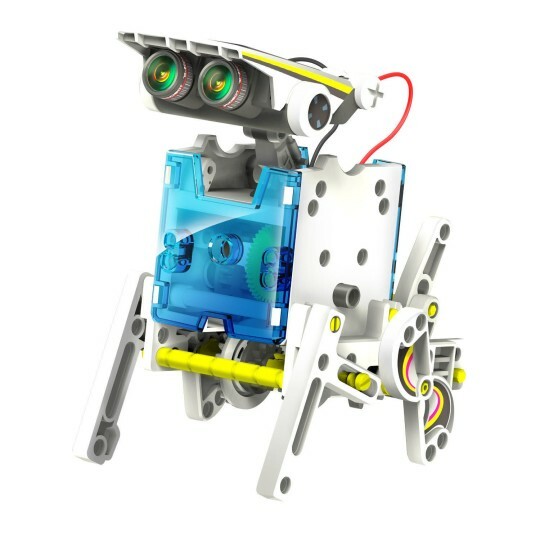 The user can easily change from a Wagging-Tail Dog to Running Beetle to Walking Crab to Surfer to Speedster to Zombie Chaser! 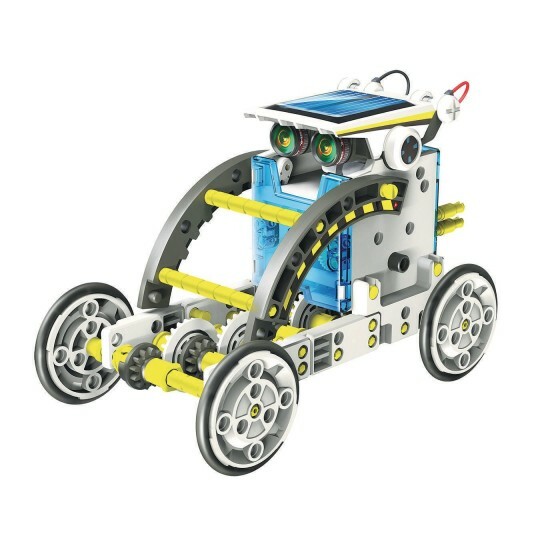 The robot kit provides unique accessories and parts that make the robot move on land and water.